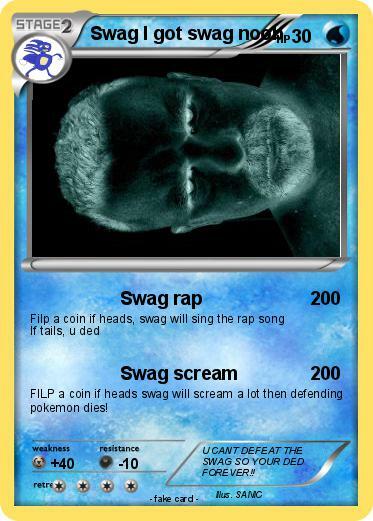 FILP a coin if heads swag will scream a lot then defending pokemon dies! Comments : U CANT DEFEAT THE SWAG SO YOUR DED FOREVER! !